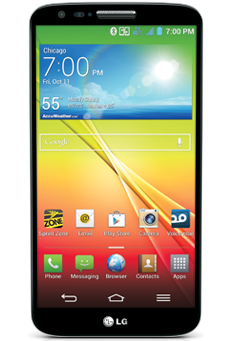 LG G2 units on AT&T, T-Mobile, and Verizon have all been updated to Lollipop (or at least begun the process) within the last month. Last, and depending upon coverage in your specific area, very possibly least, is Sprint. 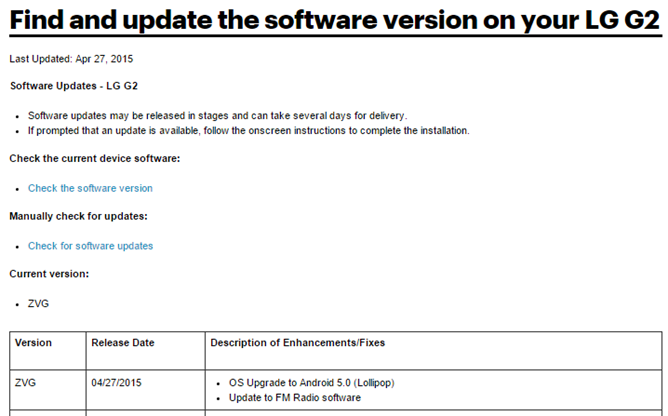 According to this Sprint support page, the Android 5.0 over-the-air upgrade is beginning today. You know the drill: check your Settings menu for a manual software refresh, and when that doesn't work, look to your favorite user forum for a side-loaded update file. This particular build for the Sprint model of the G2 is labeled "ZVG," and it also includes an "Update to [the] FM Radio software." So don't expect a lot of change in LG's part of the build - the skin on top of Android should look about the same, though you'll have all kinds of software bells and whistles added underneath. That said, some other recent LG Lollipop updates have run into some issues, so those who are satisfied with KitKat may want to hold off on updates until their fellow users try them out. As always, modifications to the stock software or recovery may cause the update to fail. And if you're waiting on an update to Android 5.1... well, you might be waiting for a while.